I first “met” John Quincy Adams as a precocious youngster traveling the world with his father, John Adams, who early in his own public life was a diplomat in Paris, Amsterdam and London. Although the seven John Adams biographies I read focused mainly on his father, an intriguing portrait of his oldest son quickly emerged. John Quincy Adams was as sharp (and stubborn) as his father and as witty and spirited as his mother. Very early in life he was afforded an opportunity observe and learn the art of diplomacy and to witness the fractious game of politics. His father took him to Europe as a ten year old boy (leaving behind the rest of the family) and they traveled and lived together in a variety of countries. Before long, John Quincy Adams left his father in Amsterdam and moved to Russia where he served as secretary and interpreter for the US Minister there. 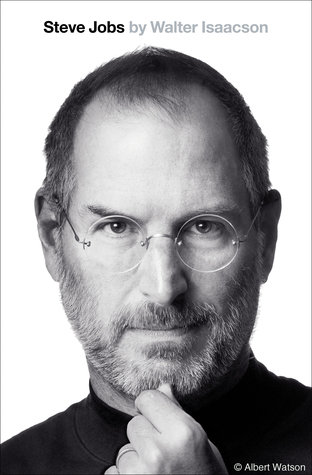 (By contrast, as a fourteen year old I spent my time toying with my first computer and playing junior high basketball). Before setting foot at Harvard in his late teens, John Quincy Adams had learned French, Dutch, Latin and Greek. Later in life he learned passable German and attempted Italian. I assume his year or more in Russia as a young teen provided him at least rudimentary Russian language skills as well, though I’m not certain. After graduating Harvard, John Quincy Adams studied law and worked several years as a lawyer in Boston. Impressed by his background, his understanding of the Dutch culture and his rhetorical skills, JQA was appointed US Minister to the Netherlands by President Washington. He later served as Minister to Prussia, Russia and the UK, declined the opportunity to serve on the Supreme Court (he didn’t feel he was qualified), was a US Senator, the US Secretary of State, and the sixth President of the United States. A few years after his one term as president, John Quincy Adams even served seventeen years in the US House of Representatives (serving there until the day he died). Although he is sometimes considered to have had a “failed presidency” – for reasons I have not yet fully encountered, having just started my first biography of him – John Quincy Adams led a remarkably productive and vigorous life of public service. And in many ways he seems to have possessed a potent blend of the best qualities of each of his parents. I’m beginning my voyage through John Quincy Adams’s life with the oldest (and longest) of my four biographies of JQA. “John Quincy Adams: A Personal History of an Independent Man” by Marie Hecht was published in 1972 and seems destined to be an “old classic” much in the way that Ammon’s “James Monroe” and Ketcham’s “James Madison” are for those presidents. Paul Nagel’s “John Quincy Adams” is up next. Published in 1997, it has far more online reviews than any of my other JQA biographies, though they seem quite “mixed.” Joseph Wheelan’s “Mr. Adams’s Last Crusade” is third on my list, with the best reviews but on a small base of readers. Last up is Harlow Unger’s 2012 biography “John Quincy Adams” which has gained a healthy number of readers (many of them quite happy with the book) in a short period of time. Having just read Unger’s biography of James Monroe, I can’t wait to see what I think of his latest biography. Am reading Amy Greenberg’s book “A Wicked War…” and was glad to learn that John Quincy Adams was one of the few politicians brave enough to oppose the war with Mexico. 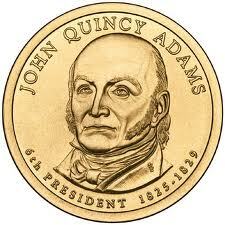 I am fascinated by John Quincy Adams. In ways, he’s a more interesting story than John. Brought up with such tremendous expectations! The way the Adams’ bring you up, you either succeed greatly or you jump off a boat and kill yourself – there seems to be no middle ground. JQA did so much as a young man! You might want to check out my favorite JQA book. It is called “Arguing About Slavery” by William Lee Miller. It is a great book about Adams’ greatest moment standing up against the slave interests, out of pure pugnacity. Good luck on your trek. I enjoy your articles very much. Oh, and Samuel Flagg Bemis wrote a great two volume biography. I remember that the first volume, “JQA and The Foundations of American Foreign Policy” was one of John Kennedy’s favorite books.